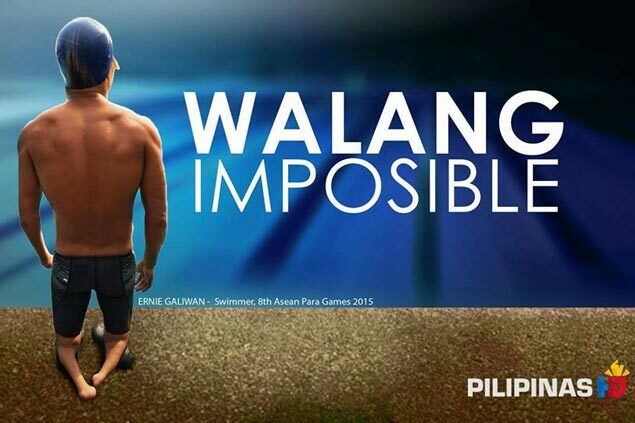 Ernie Gawilan, born in the hinterlands of Paquibato with underdeveloped extremities, will compete in the 400-meter freestyle, 100-meter freestyle and 100-meter backstroke in Rio. IF life’s battle scars were tattooes, Ernie Gawilan will have been the most inked man alive. Ernie is far from being detached to his sad past, his misfortunes turning into burning motivation to dream big fan an orphan who by sheer will and hardwork has made himself an Olympian. 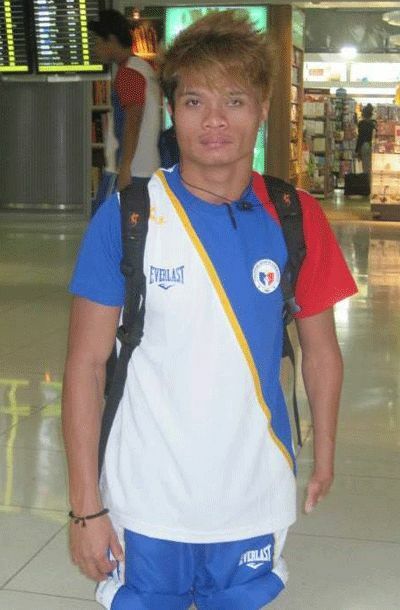 On Wednesday, Ernie leaves with four other paralympic athletes as part of a pocket Philippine delegation to the Rio Paralympic Games, the equivalent of the Olympics for athletes with disabilities. Joining swimmer Gawilan are Josephine Medina (table tennis), Adeline Dumapong Ancheta (power lifting), Agustine Kitan (power lifting), and Jerrold Pete Manglinaw (athletics). The lean delegation is looking to end the country's fruitless quest for a gold medal in the quadrennal showpiece. “Excited nga kulba sir kay mao na ni akong pinaka dako na competition sa tibuok dula nako maong all out na ni kay tsamba ra kaayo makasulod sa paralympic (I am excited and nervous, sir, because this is my biggest competition ever. I will give it my all because it is not easy to get here),” Gawilan told SPIN.ph on Wednesday. The Dabawenyo named by SPIN.ph as one of its Top 10 Sportsmen for 2015 after punching a ticket to the Rio Paralympics after winning two gold medals in record-breaking fashion as well as a silver in last year’s Asean Para Games in Singapore. Gawilan, born in the hinterlands of Paquibato with underdeveloped extremities, will compete in the 400-meter freestyle, 100-meter freestyle and 100-meter backstroke in Rio. Gawilan recently concluded his year-long training under the watchful eyes of coaches Antonio Ong and Ral Rosario. He said everything was doing well until he was downed by fever that kept him out of the pool for two weeks. “Medyo kadtong niaging bulan sir nagkasakit ko pero naka balik rako tungod sa pagsalig nako sa Ginoo dili nako ni kaya kung ako ra isa sa Ginoo rako nagsalig (Last month I got sick, sir, but I was able to get back because of my faith in God. Without Him I cannot make it, I trust everything in Him),” he said. He was close to his personal best clocking when illness struck. “Medyo naka dikit rako sa best time nako sir dili na bad time kay naka dikit dikit man pud (I came close to my best time. Not that bad really),” he said. In Rio, the Speedo-backed Gawilan is setting his sights on making it to the finals. He will see action for the first time on September 8 in the heats of the 400-m freestyle. “Paningkamotan nako sir na maka tungtung sa finals (I will try hard to make it to the finals),” he added. Gawilan said he has not met with President Duterte but wished he would before leaving for Rio. However, if it doesn't happen, he vowed to dedicate his performance to his fellow Dabawenyo. He also cited the reinvigorated support of the government to athletes with disabilities like him. “Maganda na ang suporta sa amin (We are getting better support now),” said Gawilan who also acknowledged the support of vitamin supplement Herbalife to the entire delegation.